Allysia Finley in WSJ, "The Chicago Expulsion Act of 2011". 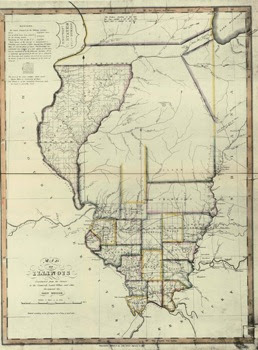 Mark Wyman in CT, "The Illinois North-South split". 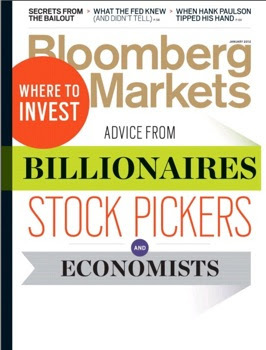 Richard Teitelbaum in Bloomberg Markets, "When Hank Paulson Tipped His Hand". Ross Douthat in NYT, "The Decadent Left". William McGurn in WSJ, "The Church of Kathleen Sebelius". WSJ: "The Cellulosic Ethanol Debacle". Richard Epstein at Hoover.org, "In Private Enterprise We Trust". Philip Howard in WSJ, "Starting Over With Regulation". WSJ: "Federal Police Ranks Swell to Enforce A Widening Array of Criminal Laws". Ira Stoll at NYSun.com, "Andy Stern v. Free Labor". Nathan Hodge in WSJ, "In Iraq, U.S. 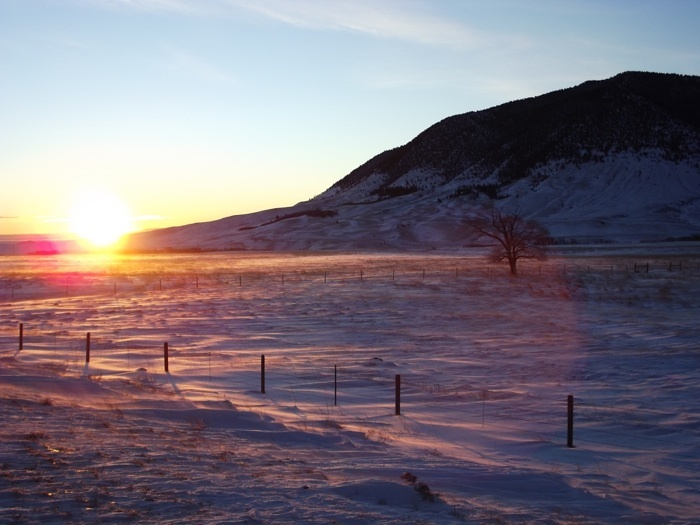 Shifts From One Large Footprint to Another". 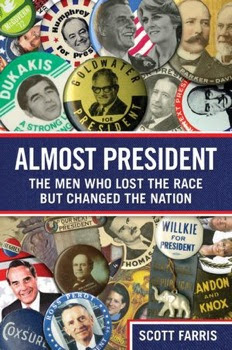 Robert Landers in WSJ on Scott Farris’ book, Almost President. Virginia Postrel at Bloomberg.com, "U.S. Universities Feast on Federal Student Aid". Ira Stoll at Futureofcapitalism.com, "Disabled America". Christopher Caldwell in FT, "An incentive is not a reward, it’s an exercise of power". “Incentivising is not only the market’s alternative to coercion. It is also powerful people’s alternative to persuasion. It can render governing classes unaccountable. Rulers get the outcome they desire, while the masses on whom it was imposed get the responsibility for having chosen it. An incentive is not a reward, something that can be fair or unfair. It is just a hedonic incitement. Prof Grant notes that the controversial bonuses paid to AIG employees after the insurer’s $180bn bail-out were revolting to those who think of bonuses as wages but acceptable to those who think of bonuses as incentives. John Paul Rathbone in FT, "A beginners’ guide to debt crises: lessons from Latin America". Roderick Parkes at EUobserver.com, "EU counterterrorism policy: a case of casino technocracy". Kerin Hope in FT, "Tax collectors accused of bribery". Noelle Burgi in Le Monde diplo, "Greece in chaos". Rachel Donadio in NYT, "Italy’s Leader Offers Tax Increases, but No Deep Reforms". Clive Crook in Bloomberg Markets, "Why the Euro Must Be Saved". “Their hope was that Europe’s new currency would speed the development of a European political identity -- a necessary condition for achieving their larger ambition, a United States of Europe. Once Frenchmen, Germans, Italians and Greeks were citizens of Europe first and of their own countries second, the project would be strong enough to withstand shocks like those of recent months or, better, would avoid them in the first place. Tony Curzon Price at Opendemocracy.net, "Why I wish I could condemn Cameron’s decision whole-heartedly but can’t". Wolfgang Munchau in FT, "The British will fare better in this Anglo-French spat". Hugh Carnegy in FT, "Sarkozy’s summit ‘victory’ proves to be shortlived". Samuel Brittan in FT, "‘More Europe’ is a mindless slogan, not the answer to all problems". Paul Betts in FT, "Greek banks become victims of Europe’s rule by diktat". Gareth Harding at EUobserver.com, "Vaclav Havel: Europe’s philosopher-king". 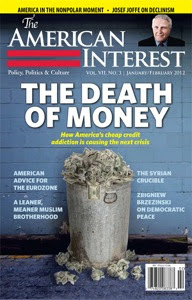 Pavel Bratinka interview in American Interest. Neal Ascherson in London Review of Books on Norman Davies’ book, Vanished Kingdom: The History of Half-Forgotten Europe. 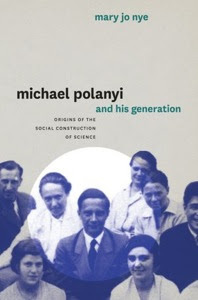 Steven Shapin in London Review of Books on Mary Jo Nye’s book, Michael Polanyi and His Generation: Origins of the Social Construction of Science. Gordon Fairclough in WSJ, "Poland Gives Arab Nations Lessons". Isabel Kershner in NYT, "Finding Fault in the Palestinian Messages That Aren’t So Public". “‘This is the inner truth of the Palestinians,’ he said. ‘They really mean it. It is not what they say on CNN, but it is what they teach their children.’ But for many, the subject of incitement and media monitoring has become as contentious as some of the messages, especially since these pronouncements are often used to score propaganda points. Raymond Ibrahim at MEForum.org, "Collective Punishment Under Islam". Tony Barber in FT, "Written in blood". Ambreen Agha at South Asia Intelligence Review, "Karachi: Annus Horribilis". Andrea Wenzel in CSM, "Using Islam to counter jihad in southern Thailand". Vikas Bajaj in NYT, "Wal-Mart Debate Rages in India". David Barboza in NYT, "Entrepreneur’s Rival in China: The State". “The patents Cathay won prompted Dupont, a leading global producer of nylon, to become one of Cathay’s biggest customers. And the $120 million that Goldman Sachs and other backers have pumped into Cathay in recent years primed investors in China and abroad to eagerly await a public stock offering that had been planned for earlier this year. Michael Wines in NYT, "A Village in Revolt Could Be a Harbinger for China". Rahul Jacob in FT, "China’s stuttering local land sales programme poses threat to growth". Victor Cha in NYT, "China’s Newest Province?". Daniel Tudor in FT, "State and big business decide to foster entrepreneurship". James Hookway in WSJ, "Par Value: Vietnamese Investors Sink Savings Into Golf Memberships". David Pilling in FT, "Just two cheers for a sputtering Indonesian dream". Michael Gardiner at Japantimes.co.jp, "The Scot who shaped Japan". Josef Joffe in American Interest, "Declinism’s Fifth Wave". Richard Haas in American Interest, "The Restoration Doctrine". George Packer at Newyorker.com, "Hitchens and Iraq". Mark Pagel interview at Edge.org. NYT: "Hope in the Age of Man". 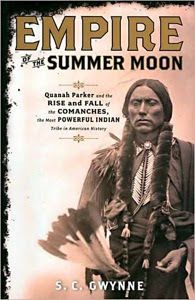 Roger Hodge in London Review of Books on S.C. Gwynne’s book, Empire of the Summer Moon: Quanah Parker and the Rise and Fall of the Comanche Tribe. Steven Mithen in London Review of Books on Chris Stringer’s book, The Origin of Our Species. 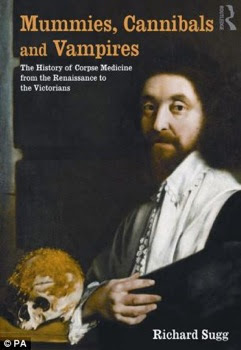 Michael Neill in London Review of Books on Louise Noble’s book, Medicinal Cannibalism in Early Modern English Literature and Culture, and Richard Sugg’s book, Mummies, Cannibals and Vampires: The History of Corpse Medicine from the Renaissance to the Victorians. James Taranto at WSJ.com, "Selling ‘Diversity’". Ruth Graham in WSJ on Jean Baker’s book, Margaret Sanger. Michele Brown at LAreviewofbooks.org on Peggy Drexler’s book, Our Fathers, Ourselves: Daughters, Dads and the Changing American Family. David Hart in New Criterion, "America & the angels of Sacre-Coeur". 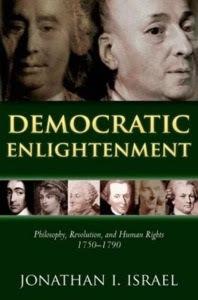 Darrin McMahon in NYT on Jonathan Israel’s book, Democratic Enlightenment: Philosophy, Revolution, and Human Rights 1750-1790. Franklin Foer in New Republic on Dwight Macdonald’s collection, Masscult and Midcult: Essays Against the American Grain. Nate Jackson in LAT, "Ed ‘Big Daddy’ Roth, creator of Rat Fink: A son remembers". Erick Lyle in L.A. Weekly, "Black Flag’s Damaged Changed Punk, and L.A.". Bob Lee at "Thelosangelesbeat.com", Live Review. 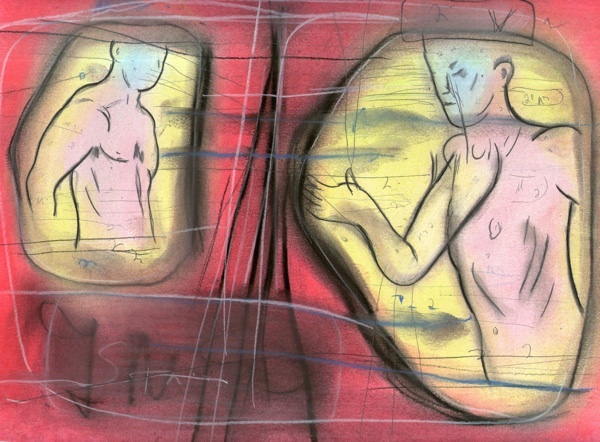 "The Way Out Lyrics of Meat Puppets II" by Matt Smith-Lahrman. Vickie Chang in O.C. Weekly, "Gary Tovar Has His Goldenvoice". Alice Bag audio interview by Matt Smith-Lahrman at Newbooksinpopmusic.com. Nicholas Pell in L.A. Weekly, "Tons of Punk Videos Were Yanked Off Youtube: Here’s What Happened". Duff McKagan interview at Thenervousbreakdown.com. “Interestingly, instead of discussing Axl’s behavior, you focus more on the fact that you never called him out for that. You never confronted him, and you take accountability in that sense. But do you think that he would have been receptive to that if anyone had said something to him at that point? LATmag: 50 78rpm picture disks. David Brauner at Minneapolis Post, "Boogaard’s brain: How the New York Times got that story". “Though the story eventually included a photographer, a videographer, two multi-media producers and a graphic artist, Branch says his editor’s original instruction was, ‘Why not spend a month or two getting to know as much as possible about Derek Boogaard? Thanks to Jay Babcock, Andy Schwartz, Steve Beeho, Elise Thompson, Chris Woods, Andy Schwartz.